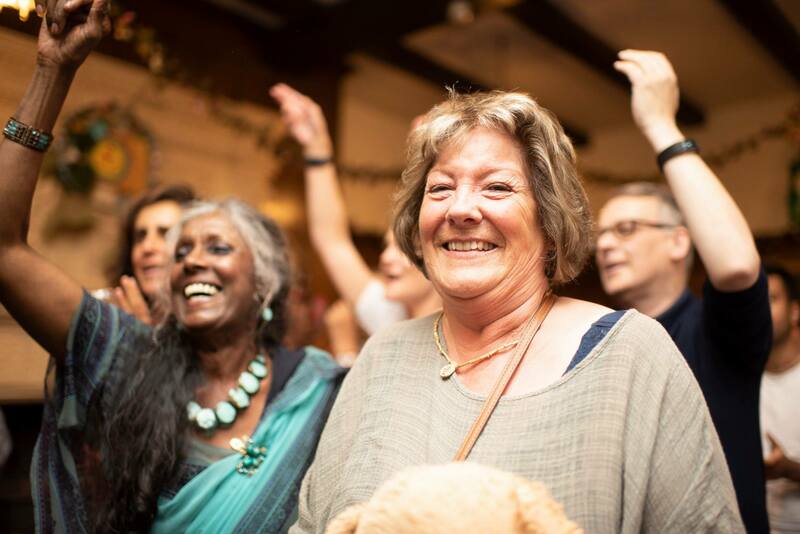 Welcome to Bhaktivedanta Manor’s monthly community event! There’s really nothing like coming together with a loving group of like minded people, to eat a delicious feast and singing along to meditative songs and rhythms. We really hope to see you on Saturday and don’t forget to book, it’s Free! If you haven’t been to Krishna Wisdom events before, please familiarise yourself with the location below or on google maps and give yourself plenty of time to arrive. Use postcode WD25 8HE for SatNav. You will most likely arrive from the A41. Turn into ‘Sandy Lane’ between McDonalds and the Mercure hotel. At the end of the road, turn left onto Hilfield Lane and into the set of big gates immediately on the right. There is no other entrance to the venue. If you get stuck, call the number below.